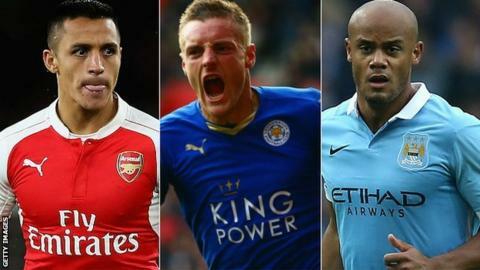 Premier League injury table: How is your team doing? Leicester are second, Newcastle are struggling and Stoke are in mid-table. No, not the top-flight standings but the 2015-16 Premier League injuries league table. We've teamed up with PhysioRoom.com to analyse every injury this season and assess the impact on clubs. Take a look below and see how your team is faring. Leicester have had the joint-lowest number of injured players and their players have missed the second-fewest number of days through injury. Does this help explain why they are challenging for the title? Liverpool manager Jurgen Klopp has been justified in highlighting his side's injury troubles - only Newcastle's players have missed more days than those in the Reds' squad. Poor Bournemouth... They have suffered fewer than half the number of injuries experienced by Manchester City but the severity of them (cruciate knee ligament injuries for Tyrone Mings, Max Gradel and Callum Wilson) mean their players have missed 175 days more than those in Manuel Pellegrini's squad. Three of the teams with the biggest squads have had more injuries than anyone else in the league - Manchester City (47), Liverpool (39) and Manchester United (39). The six best-performing teams in injury terms - Watford, Leicester, West Brom, Swansea, Norwich and Southampton - are clubs without European commitments. What do you make of this and how has it affected your club's season? Join the debate in Sportsday Live and get involved using #bbcsportsday.